Today, however, voice-search enabled digital assistants have entered the consumer market one by one. We currently have Apple’s Siri, Microsoft’s Cortana, Google’s Voice Search, and Amazon’s Alexa. Each tech brand, in turn, continues to develop more voice-activated personal devices like Google Home, Amazon Echo, as well as a variety of tablets and smartphones. According to Google, more than 50% of search queries around the world are done using mobile devices. Of that statistic, 20% are voice searches. In terms of demographics, 55% of teenagers and 41% of adults use voice search at least once per day. 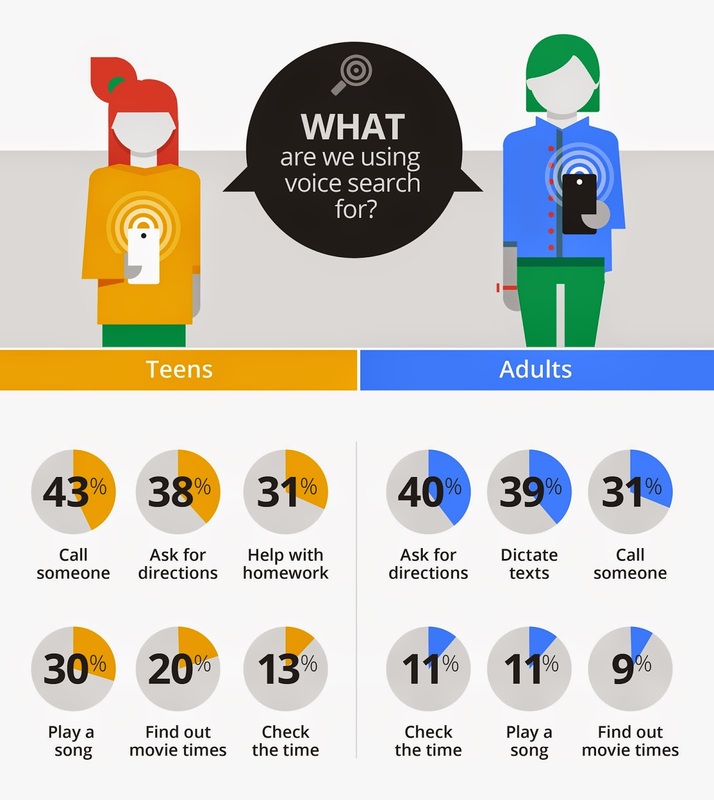 For teenagers, calling someone is the top reason for using voice search. For adults, asking for directions and dictating texts are their top reasons. This huge uptick in the use of voice search is projected to grow even more. In fact, by 2020, half of all online searches will be done via voice search. Voice search is composed of two elements: natural language processing (NLP) and text-to-speech technology. This is hardly new, as this feature has been around since 2002. It only started to gain mainstream traction when smartphones became widely used. When a query is entered to the database, the algorithm matches the question to an answer as accurately as it can. In the case of Google, for instance, instead of showing traditional SERPs, Google’s answer box is provided. The NLP technology then comes in to help the computer figure out the user’s intent and the context of the request—all based on the user’s previous search history. A user’s voice query is more conversational by nature, since they use spoken language to communicate. This is in contrast to traditional text-based searches, where keywords and being concise are valued. Moreover, the AI involved in processing voice searches grows smarter with each interaction, allowing it to interpret user intent in a much more accurate way. 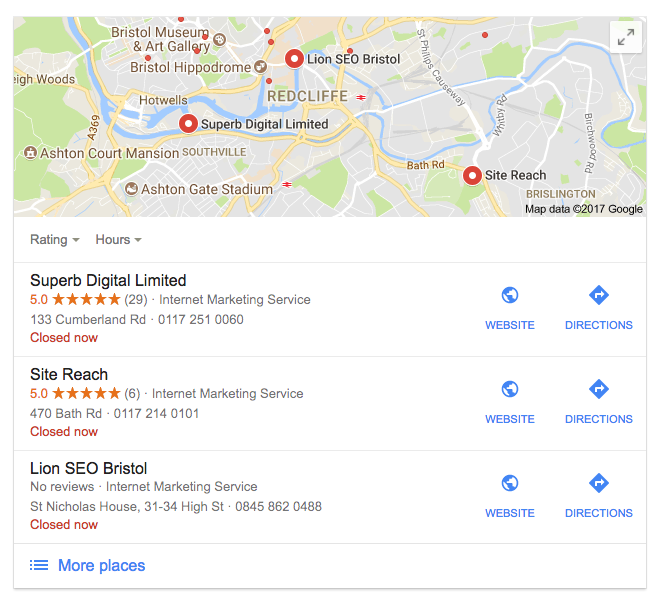 If the same user, for example, used voice search to look up Bristol’s weather and then directions to a Bristol hotel, then the next query: “What are the best local restaurants?” would show results on all nearby Bristol restaurants. Based on the user’s geolocation and previous searches, digital assistants are able to better anticipate intent and context with each search query. Motivation-wise, the top reason why people use voice search is that it’s quicker than actually going to a website or even using an app, followed closely by the convenience of its hands-free use, especially during driving. Do take note that voice search is not meant to replace typed queries. In fact, the surge in voice search use is actually matched by the increase in typed searches. With the rise in voice search popularity comes newer and bigger investment from major players who see this technology’s benefits. Just recently, Walmart partnered with Google for a voice-based shopping, allowing consumers to use the Easy Reorder feature just by speaking to their mobile devices. Increase in site traffic. Voice search results are programmed to look for quick answers to user questions. If you have industry-related answers posted on your site, this will be displayed on the answer box with your site URL (the source link)—a silent nudge to the user to click through should they need more details. With more users going to your site, your organic traffic would then increase. Improve your brand authority. If the voice search algorithm features your website in the snippet, your brand name will be mentioned. Mentioning you as a source will result in two things: 1) improve your brand recognition; and 2) increase your perceived authority, both of which would help your rankings. Help customers choose you. If a potential customer asks for reviews about your product or service, the top review that you have on-site listings will help them decide if you are trustworthy enough to transact with. Be recommended by digital assistants. If your site has all the right signals that digital assistants are looking for, you will increase your company’s chances of being recommended to the end users. Increase your local relevance. Since voice search is mostly used when a user is on the go, local SEO will grow even more relevant. If you have a physical storefront, this is great news for you. The address of your brick-and-mortar store will be displayed once a user asks a relevant query. For instance, the query “Where is the nearest petrol station?” would generate a list of stations—including yours. Reduce negative site signals. Voice searches provide a quicker way for users to get the answers that they need. If your website has valuable and helpful content, visitors are more likely to engage longer with your site. This will reduce a few negative site signals like bounce rates, ultimately helping increase your rankings. Conversational voice search is here and it will only continue to grow in popularity. This, however, does not entail an SEO strategy overhaul. What it does mean is adapting to this change, since users are going to interact with search engines in a different manner. For one, the intent behind voice searches and text-based searches are different. A more natural language is used for the former, while the latter tends to be more succinct. This means more emphasis on long-tail keywords and answering question-based queries. Use the right schema markups to label everything that needs to be labelled on your site. For instance, if your post is a recipe, label it as such. The same goes for your products and your locations (if applicable). Include all appropriate attributes, as well as your XML sitemaps and microdata. This will help the crawlers recognise your content as rich answers, which would then improve your visibility. Come up with possible questions. If you don’t know where to start with content, a good tip is to think of the questions your target audience would ask when looking for a product or a service in your niche. Build your content around those queries. Answer the 5 W’s and 1 H. You can also create individual pages (e.g blog posts) that would address common concerns. Common voice search queries cover who, what, when, where, why, and how questions. Update your FAQ page. This is an opportunity for you to refine your FAQ page, as this address the 5 W’s and 1 H questions. Use informal tone. Given the use of a more natural language in voice searches, you can use an informal tone when developing content. A rule of thumb here is to think of how people speak and then let your content match it. Apart from letting your content be easily digested, lists are also a great way to be featured in the answer box. Most of the answers presented are in a list format, especially if it is a multi-step answer (as in the case of recipes). Focus on improving your local SEO. Since many voice searches are looking for directions to local businesses, you need to make sure that you show up on the local SERPs. The challenge here lies on the device your customers are using. The local results would largely come from either Google Maps or Apple Maps, so it is important that your data on all your listings are updated. Another important thing to note is the “near me” queries, which will prompt a digital assistant to find places based on the device’s GPS location. Optimise your Google My Business listing and select the relevant categories that you belong. The more specific, the better (e.g. instead of ‘food’ or ‘dining’, choosing ‘pizza’ is more specific). You can click here to read our guide to getting your customers to leave you a Google review. The Hummingbird update of 2013 has long introduced and encouraged the use of conversational keywords. These are long-tail keywords (about four or five words) that are the closest to real-life speech. That said, optimising for voice search means targeting long-tail keywords that your customers would most likely use in a normal conversation. Synonyms are vital since some would say “near me” while others prefer “close by.” Know which variation your target audience uses, how frequently, and which one would give you the best results. 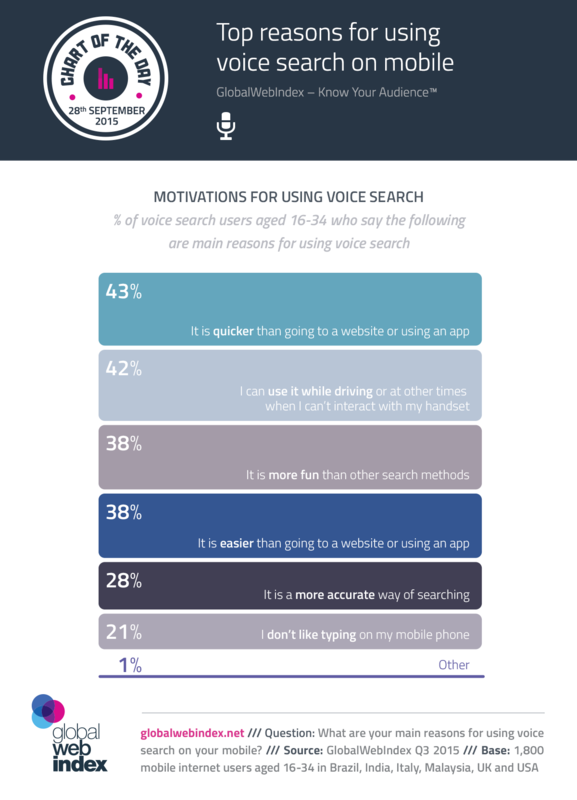 Voice searches are mostly done via mobile. That means you need to make sure your website’s mobile version addresses both the content and UX needs of your audience. You can go to Google’s mobile site checker, so you can see where your website stands. Once you have identified your pool of long-tail keywords, use them on Google Voice Search, Siri, and Alexa to see what shows up. Various listings would come up and would most likely differ per device. 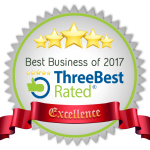 You might see Tripadvisor, Yelp, or Google Reviews. If the digital assistants would pull up one of the three (or all of them), then you now know which platforms you need to focus on optimising. Lastly, you also need to do your homework. With voice search becoming increasingly popular, newer technology is bound to emerge. Right now, you need to understand how each existing voice search app works since they have a slightly different strategy for results. For example, Google puts a premium on answer boxes when providing results. Alexa, on the other hand, would provide location results based on ZIP and postcodes. One of the hallmarks of a true SEO professional is creativity and flexibility to accommodate new technologies, algorithm updates, and emerging trends. Voice search optimisation is one of the many changes and will not be the last. If you continue to provide valuable content, you will not only be adapting to voice search but also to future changes.